This investigative reporter for the San Antonio Express-News blogged about the book, noting the need to understand the humans behind the counter. A great review by this public records blog. A nice customer review by librarian Theo Karantsalis on Amazon.com gives the book positive marks for helping citizens find out about their communities. Charles and David are interviewed by Joseph Cooper on Topical Currents regarding the art of access. Great comments by callers, including a public official. Hear the segment. Jim Engster interviewed David live about how records are useful for everyday life. Hear the interview. This is the press release that made it around to a lot of Web sites (and then straight into many publications. Hmmmmmm). Frank LoMonte, director of SPLC, interviewed David and Charles about the art of access, particularly when it comes to schools and universities. Listen to the 21-minute podcast. I guess you can call this an interview of sorts. David was asked to testify before the U.S. House Subcommittee of the Oversight and Government Reform Committee regarding how well FOIA is being administered under the Obama Administration. Each panelist got 5 minutes to talk, and then questions followed. Check out the Webcast (he’s about an hour and 20 minutes into it), and check out his written testimony posted online. Charles is interviewed by Jim Lenz regarding access. Jennifer Fuller interviewed David on Morning Conversations regarding the need for government transparency and how citizens can access records. Steve Myers posted a Q&A about the book with David Cuillier for Poynter Online’s Top Stories. He asked great questions, and the column generated some discussion on the computer-assisted reporting listserv – particularly on the best ways to approach an agency. David Cuillier appeared live on American Morning for a segment debating whether 911 tapes should be public. See the story here. This clear, concise and timely book provides a step-by-step guide for turning the overhyped rhetoric of transparency into a much-needed reality. 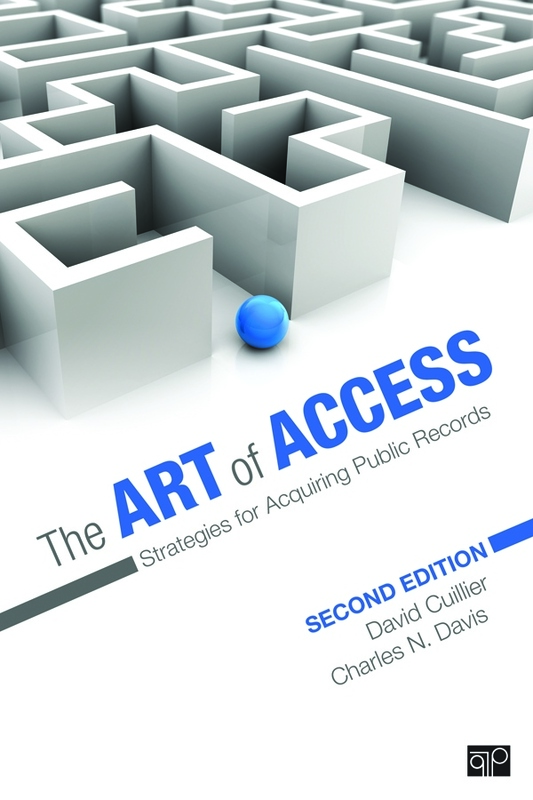 Cuillier and Davis, both veterans of the access wars, provide journalists and citizens alike with the keys to unlocking the secrets held in public records that government officials too often like to stow away. Replete with tips from professional journalists, a bevy of relevant websites and many handy checklists, this book is a practical guide for navigating the often bumpy road to getting the government records you want and need. Open government laws such as the Freedom of Information Act provide us with powerful political tools, but we don’t always know how to use them. This superb handbook distills the most effective techniques for gaining access to official records. It will help readers become more skillful requesters, and better citizens. Without a doubt, (this is) the most accessible guidebook on access to government information that you’re likely to find anywhere. Awesome tips and insights about accessing public records! A ‘must-have’ resource for journalists, civic activists and anyone else who wants to use public records power to the fullest. A must read for anyone who wants to understand how access to government information really happens on the ground. Even individuals outside the journalistic community who are new to the art of getting access to government information will especially benefit from the authors’ thoughtful and eminently readable navigation of the maze.